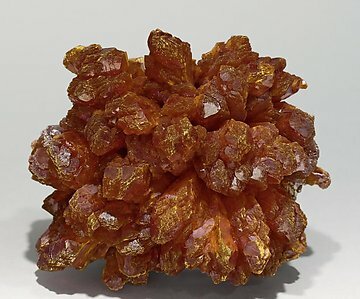 Classical aggregate of Orpiment from Quiruvilca, with well developed crystals that have polycrystalline terminations. They are translucent and a very vivid orange color. On matrix, with minor Pyrite. 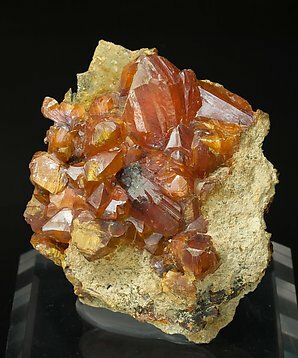 Group of crystals, on matrix, with very well defined faces and edges, translucent, with an orange color and a very intense luster. 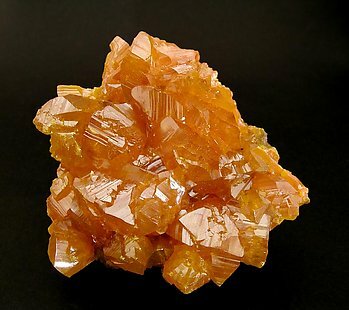 The crystals, very luminous, have been magnificently preserved despite the long time that has passed since the sample was recovered in 1978. Such samples are currently considered as Peruvian classics. ¡Superb! 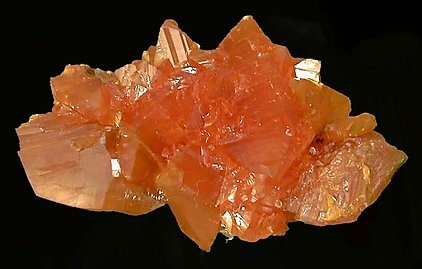 Exceptional brightness and color make this a superb specimen enhanced by remarkable crystal size and sharpness. All of these features combine to put the piece among the best from this well-known mine. The sample, absolutely unaltered even considering the passing of years, is from an accredited collection. We’ll send the collection label with the specimen.